Delivering water exactly where it's needed: in the ground, at the roots. 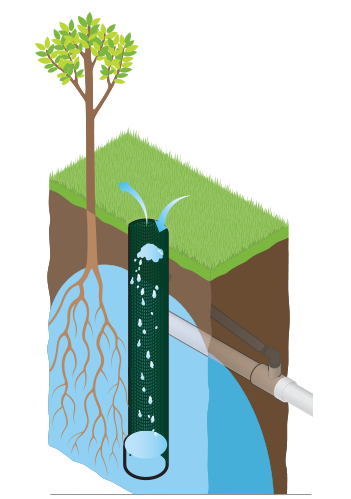 For young plants and trees to thrive, it is critical they receive adequate irrigation and a steady exchange of oxygen to all levels of the root zone. 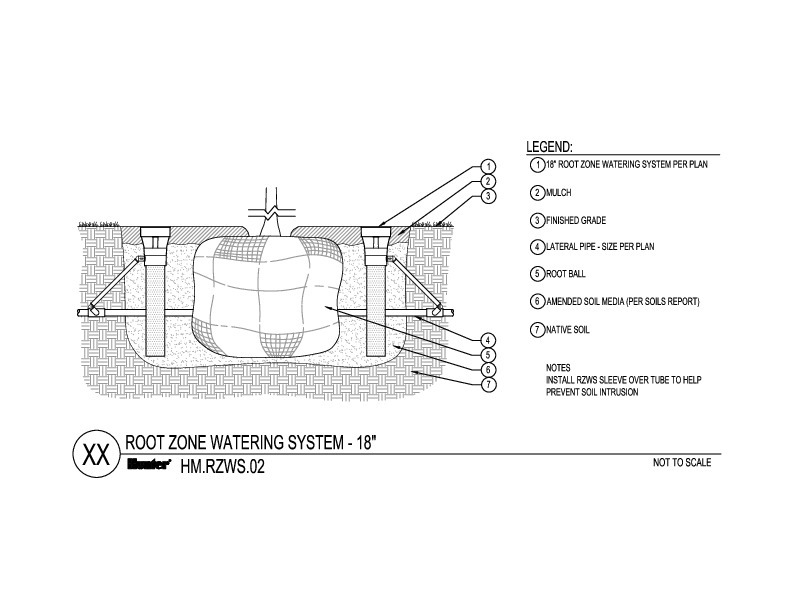 This encourages roots to grow deep and stay safely below the surface, allowing the plant to fully establish itself. 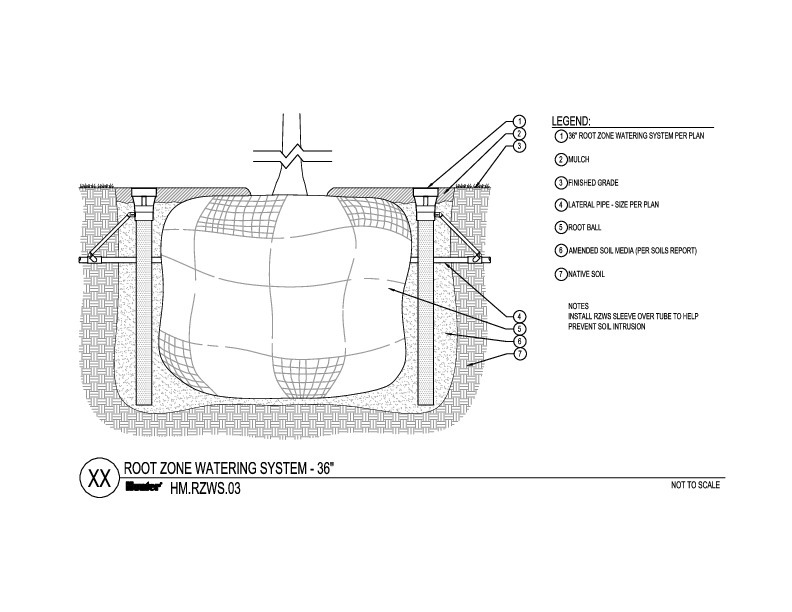 Developed to meet this challenge, the Root Zone Water System Eco delivers water to the root zone and provides the root zone access to oxygen and vital nutrients. The RZWS-E comes pre-assembled for ease of installation, and it is serviceable from the top. 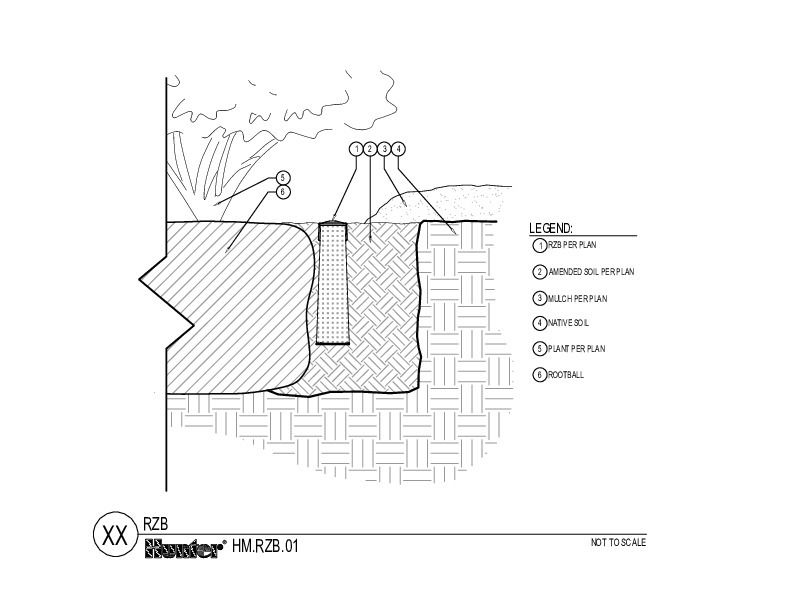 For efficient irrigation of trees and shrubs delivered at the root, the Hunter RZWS-E is the solution.